I started the section “The Bands at Bauska Castle” as a way of highlighting underrated and under-appreciated bands of the 1960s and 70s. Many of my categories have to do with crediting musicians who portrayed brilliance at a time where musical brilliance was actually commonplace. Hence why many bands remain unknown even though their music was excellent. Today I want to feature an eclectic 60’s band that found themselves caught in the trap of bad luck. They are The Idle Race. There were many incarnations of the band that became known as The Idle Race and this constant transformation may have been why they did not gain the popularity they deserved. The band also did not release much material. But, in my opinion, I think the Idle Race remained critically acclaimed but unpopular among the masses because they were playing music that was five years before their time. The band, who originally were known as Mike Sheridan and The Nightriders, failed to break the charts even though a young Roy Wood played guitar and composed. Wood is best known for his work with The Move and Electric Light Orchestra (who will come up later). After not gaining success with The Nightriders, Wood left and joined the Move in 1965. This prompted Mike Sheridan to leave as well. Left in the band were rhythm guitarist Dave Pritchard, bass guitarist Greg Masters and drummer Roger Spencer. This core remained together and went searching for a new leader. After a short stint with guitarist Johnny Mann, the core three put out an advertisement for a new guitarist in 1966. The guitarist that won the job was a young prodigy named Jeff Lynne. Anyone connect the dots? Lynne and Wood went on to form Electric Light Orchestra where they became incredibly popular playing similar experimental music that The Idle Race played years earlier. Lynne inspired himself. I am getting ahead of myself. 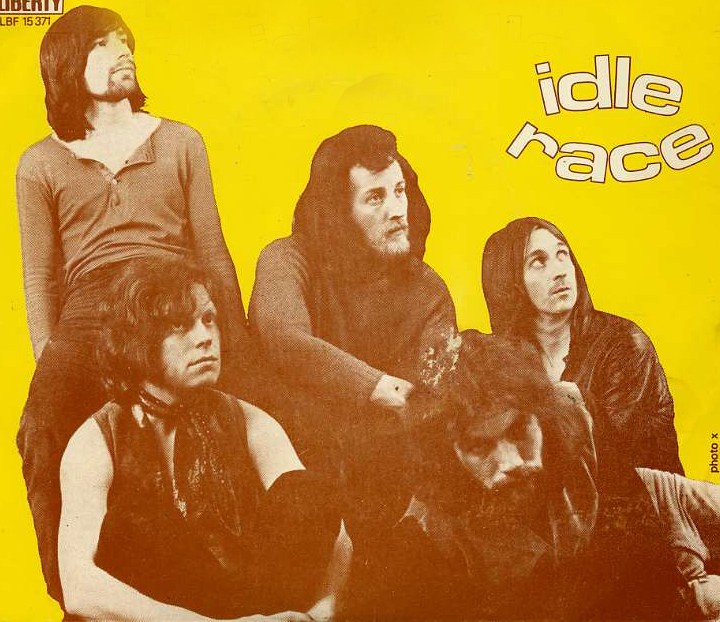 The band wanted to showcase Lynne’s vocal and guitar talents so they changed their name to The Idle Race. Wood, who had become quite successful with The Move, helped get them a record deal with Liberty Records. They released two LPs that did not do well and Wood convinced Lynne to join The Move which dissolved into ELO. But with The Idle Race, Lynne released some awesome material that is seemingly always overlooked by 60’s rock writers. I would like to highlight two songs from different albums. “I Like My Toys” is a psychedelic pop piece off of The Birthday Party (1968), the first album released by the Idle Race. It sounds like an esoteric nursery rhyme. It is also somewhat disturbing if you listen to the lyric. It is about a 16-year-old who is obsessed with toys and proclaims that he “is not well.” It almost sounds like Pink Floyd’s work with “Bike” and “Free Four.” They are relatively effervescent songs with disturbing undertones. The song is simple but very different. Listen to some of the keyboard and guitar elements. Doesn’t it sound a bit like ELO. 10 years later, Lynne released “Need Her Love,” and minus the 70’s style effects the songs are very similar. You can hear a lot of ELO in the above song. It may have just not been popular because it was before its time. A beautiful song by Lynne and Idle Race.